There is an optional download to Quickbooks. The Quickbooks download creates journal entries in Quickbooks for all transactions recorded in Schedule Master. The default download summarizes income and expenses, such as rental and fuel. However, bank transactions, such as customer receipts and refunds, are kept at the detail level to facilitate reconciliation of bank accounts through Quickbooks. If your aircraft are on leaseback (or if you treat the owners as separate vendors), we recommend that you first go through the process to prepare the aircraft owner statements. The step for adding rent and receipts to owner statements and the step for adding aircraft expenses to owner statements create batches of data for download to Quickbooks. Check Rental Time and/or Aircraft Receipts to determine which types of transactions are included in the batch. Set a particular resource or leave set to 'Select Resource' to select all resources. Set the schedule cutoff date as desired for your accounting batches. Most organizations would set this to the end of the month. Set the accounting date based on the date you would like for the journal entry when created in Quickbooks. Click the 'Create Batch' button when you are ready to generate the batch. Once that batches are created, click the 'Select' link of the batch you wish to review. This will display the transactions and totals. Once selected, you will see links for clearing the batch or locking the batch for download to Quickbooks. Set the download type, transaction cutoff date, and accounting date (used for Quickbooks transaction date) and click 'Create Batch'. You will need to do this separately for each download type. Click Display Batch to see the transactions included in the batch. Click Lock Batch after verifying the transactions to prepare for download. After the download, the download batches will move from the list of Batches Awaiting Download to the list labeled Download Results. This is on the same Download Results screen from #3. If there was an error writing to Quickbooks, the error message will be displayed. For those batches with errors, click the button to reset the batch. This will send the batch back to the batches awaiting download. Be sure to resolve the issue before restarting the Quickbooks download. Some errors might be related to a mismatch of data (e.g. 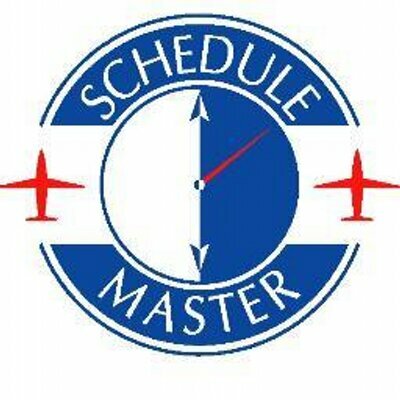 account name) between Quickbooks and Schedule Master.